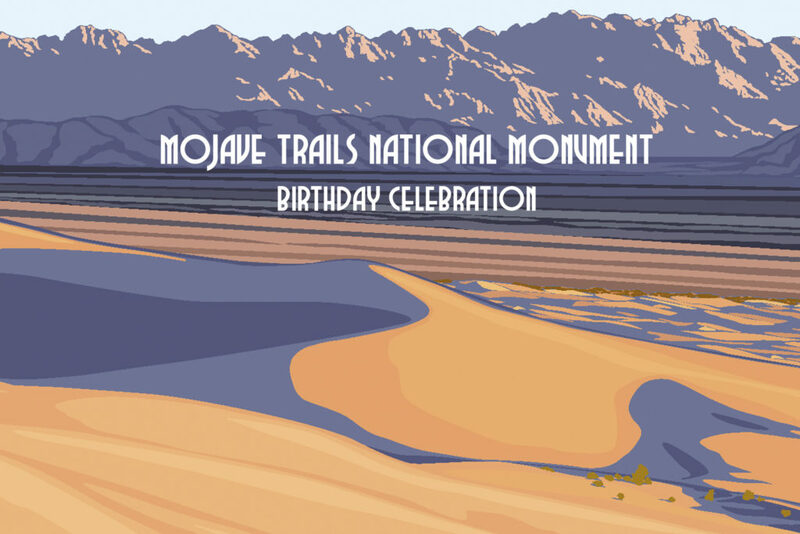 Join us for a three-day celebration Mojave Trails National Monument’s third anniversary this February 8-10, 2019! Special events include a Campfire Talk & Photo Essay, a Birthday Party, Insta Meet, Star Party, and Amboy Crater community trail work! All events are free, and family friendly! 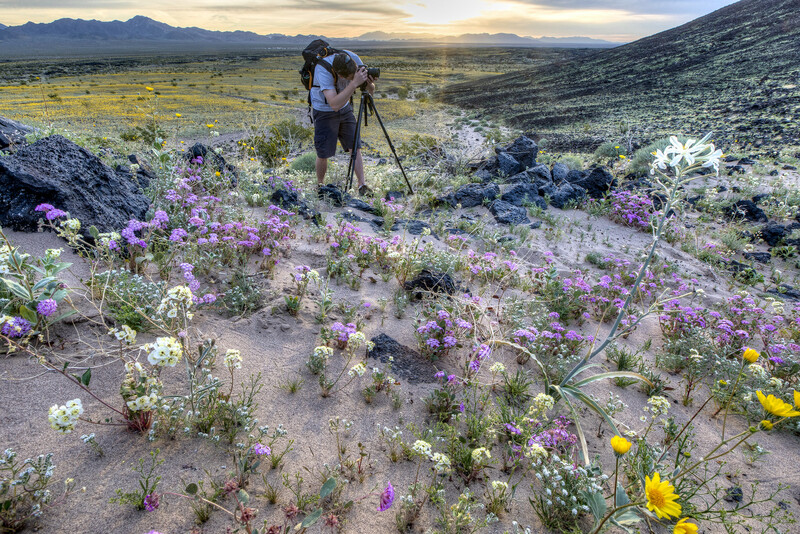 Kyle Sullivan, Mojave Trails National Monument Manager, will provide a photo essay highlighting the remarkable ecology of Mojave Trails National Monument. Learn about how the harsh environment of the Mojave Desert has shaped the distribution of ideas and people. We’ll engage in a discussion of the history and future of this incredible landscape. Mojave Trails National Monument is turning 3, and the City of 29 Palms is throwing a birthday party! Join us at our Visitor Center & Chamber of Commerce for cake, balloons, commemorative posters, and new MDLT Desert Adventure Kits! 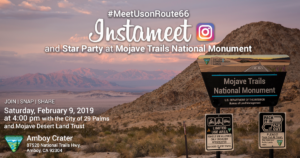 Plus meet Mojave Trails National Monument Manager Kyle Sullivan, learn more about the City of Palms status as an official gateway community to Mojave Trails and Route 66! From hiking and rockhounding, to wildflower and wildlife viewing, overland adventure and camping, and star gazing and astrophotography, Mojave Trails offers an amazing diversity of outdoor recreation experiences, and this spring, we want you to get out there! Pick up your Mojave Trails and Route 66 maps and brochures from our Visitor Center, and from our birthday party head north to Amboy Crater for BLM’s Insta Meet, and 29 Palms Astronomy Club Star Party! *Carpooling from the 29 Palms to Amboy Crater is encouraged; there will be parking spaces available at the 29 Palms Visitor Center for those available to carpool. 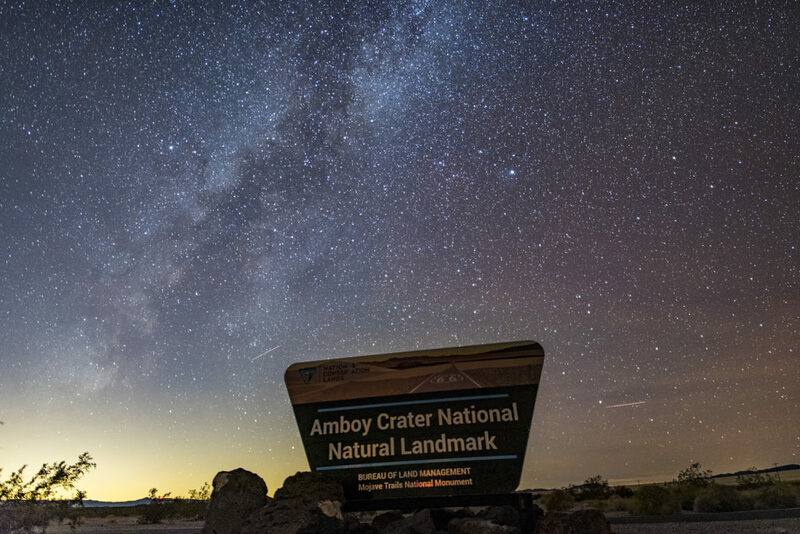 BLM and partners invite social media followers to Amboy Crater to capture what is promising to be a great bloom in the desert and stunning night skies! BLMer Kyle Sullivan and photographer will share tips and tricks, network and learn about alternative travel destinations in Southern California. BLM staff will be on hand to talk about public access opportunities and history of Amboy Crater, the Mojave Trails National Monument, Route 66 and the importance of community in supporting public lands management. Photographers can capture the dynamic contrast of wildflowers and black lava at the iconic landscape featured along Route 66. After sunset, astronomers will be around to interpret the night sky! The InstaMeet, hosted by @mypubliclands Instagram is scheduled for Saturday, February 9, 2019 at 4:00 pm. This allows photographers time to meet up and learn about the area before golden hour. Sunset is at approximately 5:20 pm. Photographers are encouraged to stay after sunset to enjoy the stunning night sky and learn astrophotography techniques. Astronomers will have telescopes set up to view the night sky. Moonset is at approximately 9:54 PM (waxing crescent moon). Comfortable chair, camera and tripod, plenty of water and snacks, headlamp with red light and extra batteries, layers of clothing. Take a tour of the night sky with expert astronomers from the 29 Palms Astronomy Club as they guide you through our celestial surroundings with large telescopes and binoculars. Before the star party, astronomer “Starman” Steve will give a short introductory talk on astronomy, the importance of dark sky preservation, tips for astrophotography, and will give a laser constellation tour of this evening’s night sky. Featured in tonight’s sky will be a waxing crescent moon in the western sky. This phase is one of the best times to observe the Moon. The cratered and mountainous landscape of the lunar surface will show stunning three-dimensional detail. The Winter Milky Way will also be well placed for viewing. This area of the sky shines with many familiar constellations, such as Orion, Taurus, Gemini and Canis Major. Eight of the brightest stars will be visible, including the red supergiant Betelgeuse, and Sirius, the brightest in our night sky. In the realm of the deep sky, the Orion Nebula, the Pleiades Star Cluster and the Andromeda Galaxy will be among the highlights. The Crater is an iconic landscape feature that guides travelers along Route 66. The site provides easy access (low-clearance 2wd) to visitors wanting to experience Mojave Trails National Monument. There are vault toilets and sufficient parking. The nearby town of Amboy offers limited amenities, but does have gas, cold beverages, and a small selection of snacks. Help us maintain and improve the 1.5-mile trail to Amboy Crater! 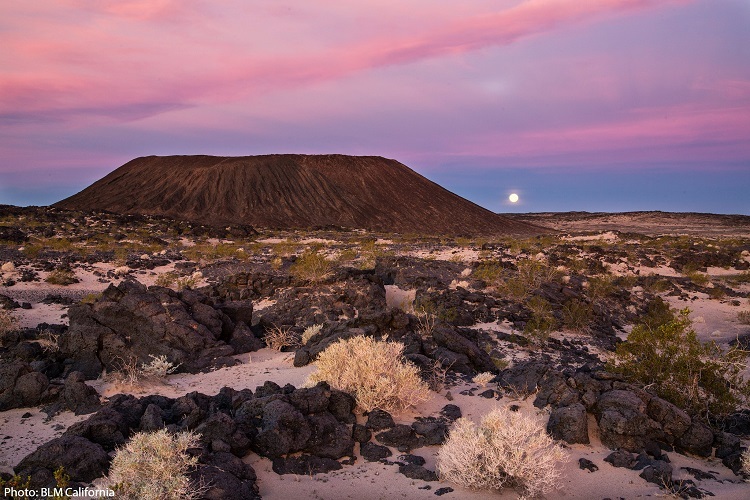 The trail winds through a lava field, eventually taking hikers to the summit of the crater, where hikers take in impressive views of the Mojave Desert in every direction. This work includes defining and delineating the trail, constructing rock alignments, and raking debris from the tread. Tools such as shovels, picks, and rakes will be provided, and be used to improve the overall tread surface of the trail which will significantly help improve our visitors experience hiking the trail. For volunteers looking for a less strenuous volunteer activity, the BLM will provide paint and brushes so that the handrails around the trail head can be painted. Work is expected to conclude by 11:00am, or when/if temperatures reach 80 degrees.